ABSTRACT: Ecosystem-level management is increasingly the focus of governments, NGOs and scientists, across fisheries, natural resource management and biodiversity conservation. Effective management relies on understanding the risks to biodiversity at the ecosystem-level. The Red List of Ecosystems was developed over the last decade to provide a set of transparent, repeatable and quantitative rules for assessing the risk of ecosystem collapse. This inclusive and scientific process included development of risk criteria, and their application to a wide range of ecosystems, and culminated in their formal adoption by the IUCN (International Union for the Conservation of Nature) in May 2014. In this presentation, I will give an overview of the IUCN Red List of Ecosystems, how the criteria can be applied, and key conceptual and scientific challenges. I will present several case studies, demonstrating the applicability to the criteria across a range of terrestrial, freshwater and marine ecosystems, including: the Coorong Lagoon, South Australia; ecosystems of the Murray Darling Basin; and kelp forest ecosystems. I will discuss future directions and applications of the Red List of Ecosystems, including its integration with ecosystems services, plans for global assessments, and future research needs. 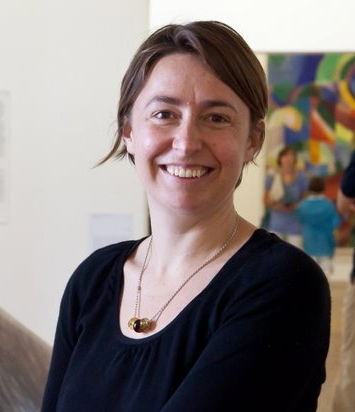 BIO: Emily Nicholson is a Senior lecturer in Quantitative Ecology and Deakin Burwood. She completed her PhD at the University of Queensland on conservation planning, supervised by Prof Hugh Possingham and Prof Bob Pressey. She undertook postdoctoral research positions at Princeton University, Imperial College London as a Marie Curie Fellow, and at the University of Melbourne as a Centenary Research Fellow, before joining Deakin in February 2015. Her research aims to find solutions to conservation problems, including new methods for measuring change in biodiversity, quantifying risks to biodiversity, and making conservation decisions. You can find more information on her research and her publications on her website.